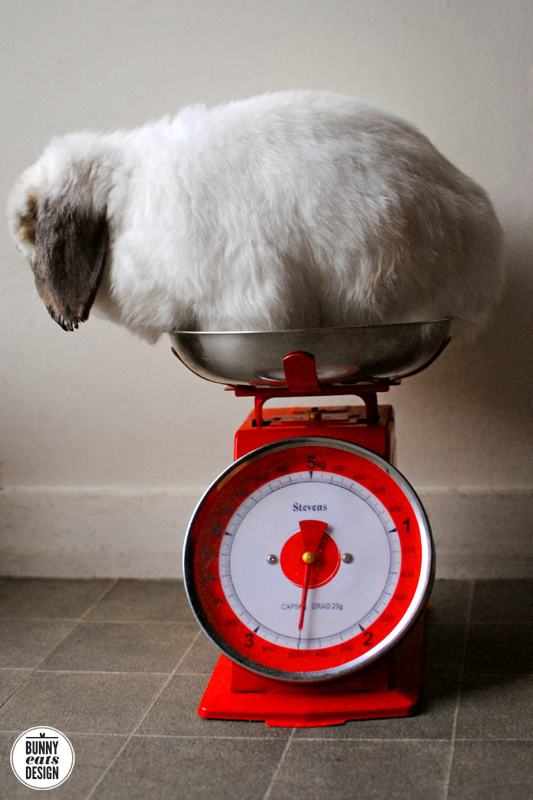 No one enjoys being weighed and Tofu the bunny is no exception. Turns out, Tofu weighs the same as he did six months ago. I guess that’s what he was trying to tell me, only I wouldn’t listen. Edit: I should add that Tofu is still on a diet though we are more relaxed about it. He’s eating a mixture of half diet pellets and regular pellets and fresh food and hay. So no change in weight is fine. Better than weight gain! Awwww! He does not like being weighed! Uh, I should go and weight myself too at some stage… but nobody forces me so I will wait another 6 months :-). 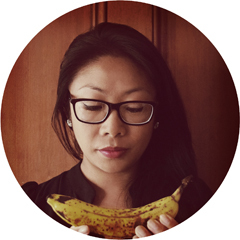 Hi Alessandra, I only recently got WordAds and seeing how it goes. Not sure how targeted the ads are. Doesn’t sound like they are as targeted as GoogleAds. He’s hiding his face with his ears. A figure like that? Surely he can’t be embarrassed? You’re fluffy. That’s all, Tofu. Fluffy!! That’s what I’ve been telling him. To be honest, I expected him to be fluffier for winter. No shame in a little extra winter padding. Oh, but wouldn’t a bigger bowl be admitting defeat? Maybe next time I will tare a padded basket complete with treats. oooh Tofu! You are such a beautiful boy. more to love I say. Flatpac has lost a lot of weight since she started dating Archie. All that running away from him! I’m so impressed he posed for such a shot, what a good boy Tofu is! Izzy would never sit still long enough for me to weigh her in my kitchen scale and take a picture, but maybe I’ll give it try. I should be able to handle her, she only weighs about 1 kg after all! 1kg! That’s just a smudge. Our vet said that Tofu could stand to lose a kilo. I can’t imagine him at 1.6kg. That seems so very small. I often forget how little Izzy is until I stand next to her. I’ve never had a pet as small as she is, but that’s what we signed up for with a dwarf! lol. Tofu is so chilled out. He probably would tolerate a lot. Luckily he hasn’t met many kids. One time when Tofu was a baby, barely a handful, he met a very excited kid who was so happy he wanted to squeeeeeeze a little too hard. It’s always a bit scary when it’s other people’s kids. I wouldn’t want to appear to be parenting someone else’s kid. As a parent, would you mind?